Colonial Bunyip is a further development of my work Urban Bunyip. 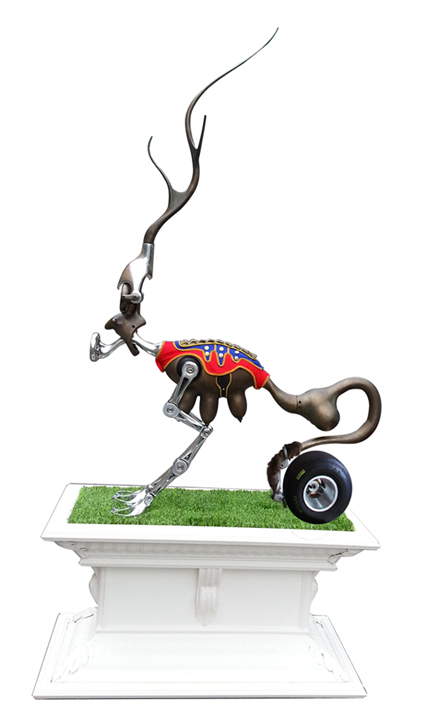 It is freestanding mixed media work comprising of cast aluminium and bronze components, fabric, wool, crocodile skin, kangaroo fur and digital media. 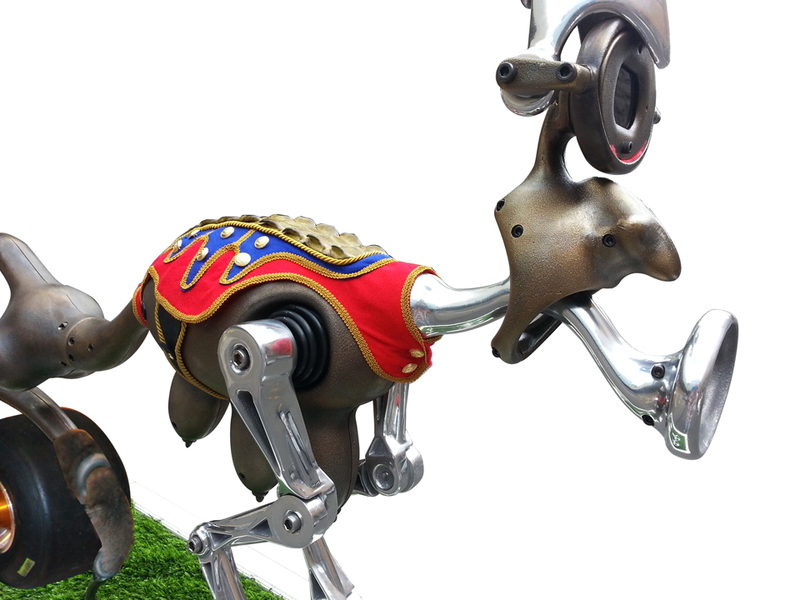 The mythical Colonial Bunyip humorously readdresses the natural order of things in contemporary native Australia.